Bring your laptop with your Denali data and join us in Las Vegas, Nevada for some great Denali training. Ask specific questions and get expert answers. Yes, tell me more about the training in Las Vegas, Nevada! Don’t forget to bring a LAPTOP loaded with your DENALI data installed so you can ask questions tailored to your company’s accounting. This training offers step-by-step instruction on how to get the most out of Denali with one of our corporate trainers. “I really enjoyed the training workshop this week. I don’t think I have ever learned so much during a week. Cougar Mountain Software makes learning fun and exciting. Special room rates available until 4/8/19: identify yourself as part of the Cougar Mountain Software group to receive discounted room rates. Room rates are $137 per night (does not include taxes) and you can also reserve your room online. 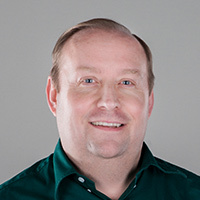 Jeremy joined the Cougar Mountain team in 2013 and has brought over 20 years of accounting and customer service experience from companies such as DirecTV. The knowledge he gained in those years paired with the personal training he received at Cougar Mountain Software helps him deliver the Cougar Mountain Customer experience. Jeremy received a Certificate of Accounting from Northern Arizona University. He then attended Southern Utah University majoring in Business Administration. As a Systems Trainer, Jeremy is responsible for delivering exceptional training services for new and existing clients. With his knowledge and experience of GAAP and Non-profit accounting, he provides training services in house, on the road, and at regional training events for Cougar Mountain clients, which includes finding solutions to make the Cougar Mountain program work best for them. Many states allow our training to be used towards your continuing education credits, please check the requirements within your state. Certificate of Completion will be issued at end of class.